YEAH! 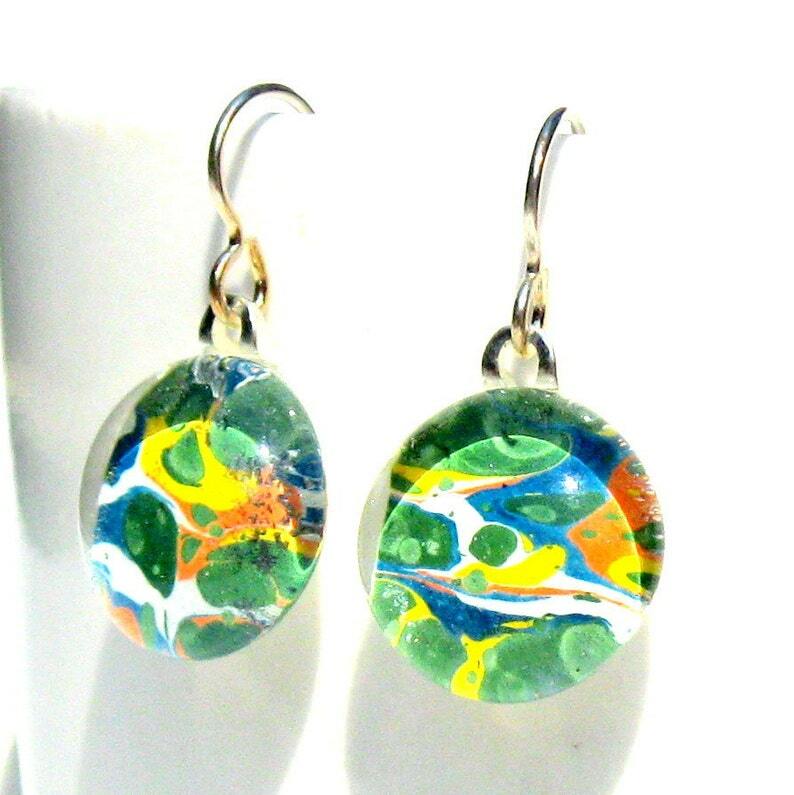 After great anticipation and many requests, GamiWorks is now making earrings! These new dainty glass danglies are gorgeous and so reflective in the light and just perfectly sized to be worn everywhere. They are difficult to photograph and look even prettier in person. This new line of gamiglass jewelry is made using only superior quality 20gauge Argentium® Sterling Silver findings, molded glass and Japanese chiyogami (old-paper). (Read below about this amazing sterling silver). Of course, like all GamiGifts, they come beautifully packaged and ready for gifting. Each french wire earring dangles 1 1/4" from the lobe making them not too long and not to short, but just right! The geisha glass gem measures approx. 1/2" diameter and 1/4" thick giving a rich, magnified look to the age old Japanese paper. Each comes with a clear rubber slide nut to comfortably and discretely keep your earring in your ear. Tarnish resistant: A light dusting or occasional wipe with a soft cloth is all you need to keep its shine. The resistance actually increases over time. Better for the environment: because it doesn't develop firescale (a reddish patina) when heated, which eliminates processes that use hazardous materials needed to strip firescale from standard sterling materials.